With the prolific fauna and flora on your doorstep and accommodation amidst lush rainforest, Aninga Lodge is perfect for nature lovers of all ages. Aninga Lodge is open year round. Aninga Lodge’s 32 rooms are scattered throughout the grounds, surrounded by luxuriant rainforest and linked to the central areas by raised walkways. Rustic in style, they provide simple, clean and secluded accommodation, cooled by the breeze that blows through the gauze windows and the gently rotating ceiling fans. Nourishing buffet meals are served in the restaurant, allowing you to mix with other guests as you enjoy the food, and there’s a bar for relaxing. 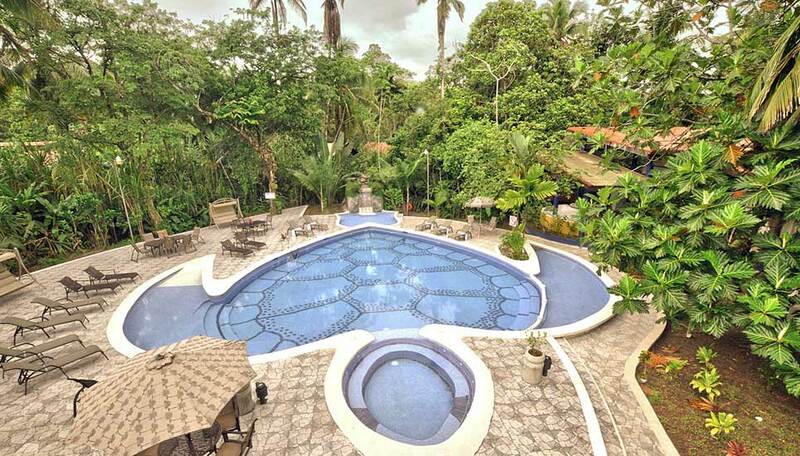 Other facilities include a spa and swimming pool complete with a feature waterfall. 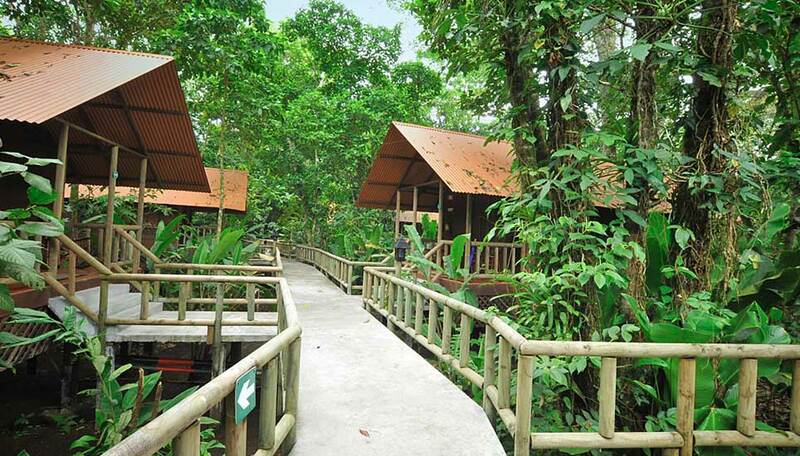 The lodge is perfectly placed for exploring Tortuguero National Park, just a 5 minute boat ride away. 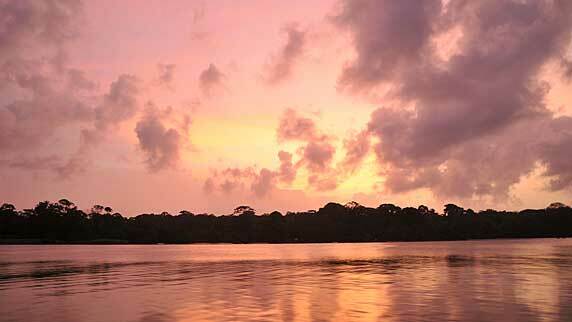 Tortuguero is considered one of the most exotic regions in the world, and is blessed with a great variety of flora and fauna. Within 5 minutes you are in the national park, so staying here allows you to make the most of your time, scanning the banks and water looking for wildlife as you cruise the well- known canals, with the benefit of an experienced naturalist guide. During the months of July to October you can watch green sea turtles, after which the park is named, come ashore to lay eggs. There are no roads in this part of Costa Rica, all transport and tours are by boat along the network of canals and waterways, adding to the adventure. You don’t have to go far to come across wildlife at Aninga. Walking along lodge trails you’ll see a variety of birds among the trees and plants, including toucans, macaws, woodpeckers and golden orioles. Mammals can often be observed too, from slow-moving sloths to playful white-faced capuchin and howler monkeys. 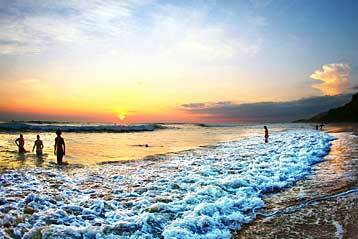 In Tortuguero you are likely to see caimans, river otters, turtles and, if very lucky manatees. A typical 3 day packages includes 2 nights accommodation at Aninga Lodge with return air conditioned bus transport from San Jose or pickup at any intermediate point, return boat transfers between embarkation port to the hotel and welcome cocktail on arrival. Meals: 3 breakfasts (including en-route on day 1), 2 lunches and 2 dinners served buffet style at the lodge, lunch en-route on day 3, access to the 24-hour self-service café at the lodge. Activities: guided visit to the Green Sea Turtle Museum (STC) and to Tortuguero village, brief beach walk, guided walking trails, guided boat trip on the Tortugero canals, and the services of a bilingual (English-Spanish) guide for the duration of the itinerary. All taxes are included. 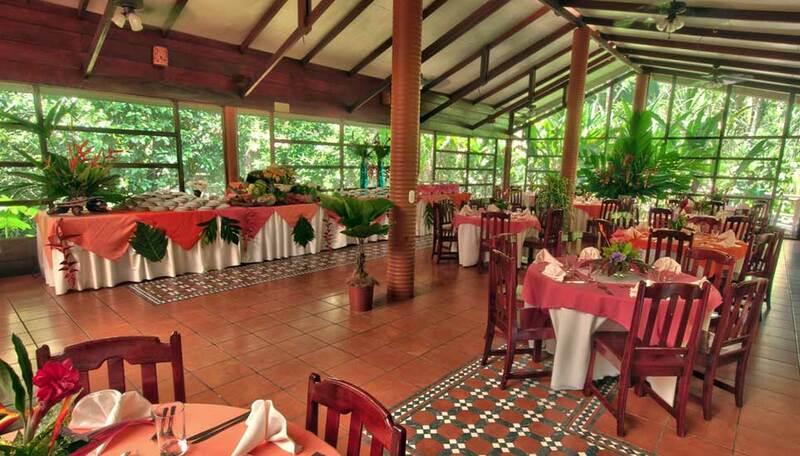 32 standard rooms, all with ceiling fans, mesh windows, and en-suite bathrooms with hot and cold running water. 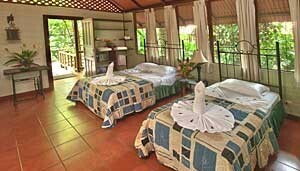 Most have 1 double bed and 1 single bed and accommodate up to 4 people. 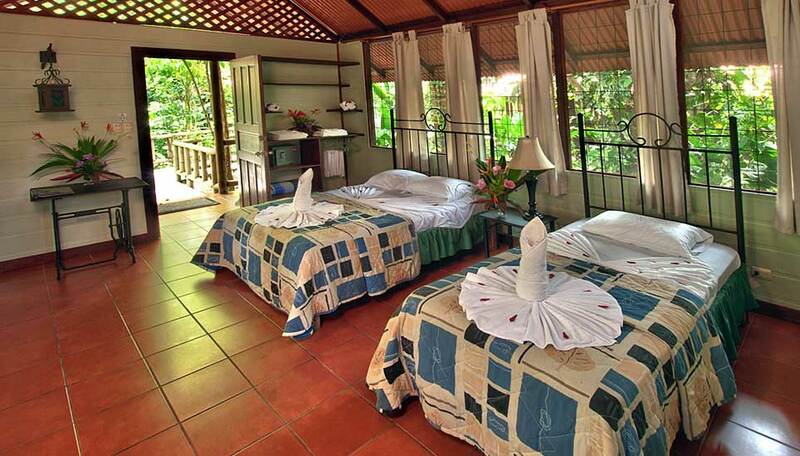 Rooms are simply furnished, have shelves for storage, tiled floors and mesh windows. Children of all ages are welcome. Children under 4 years stay free. Children between 5 and 11 years sharing with parents (maximum of 2 per room) pay 50%, those 12 years and over pay the adult rate. Free Wi-fi in all social areas, plus mobile phone reception.